A fresh new mani is always the answer so get ready to try this one out for yourself and for your soul. Bring a pop of fun and color into this fall season with shapes and sprinkles on your claws. This design is sure to be a conversation starter and they’ll be the talk of the town. 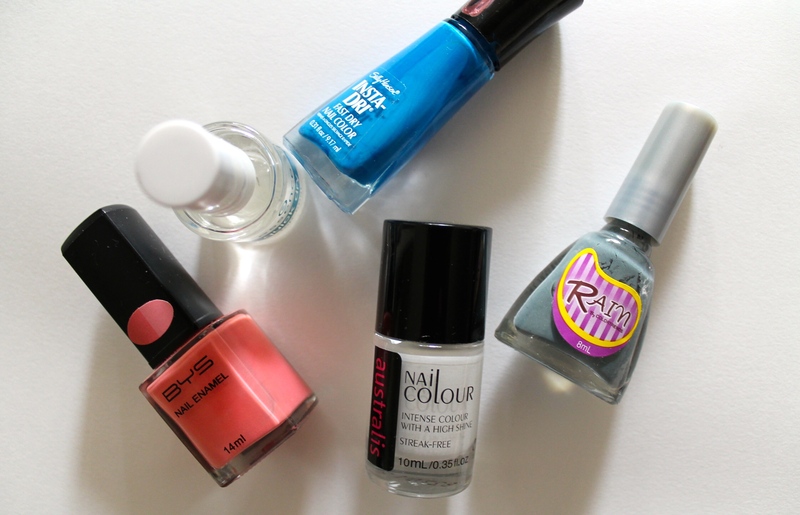 So grab your cutest nail colors and get your manicure on! 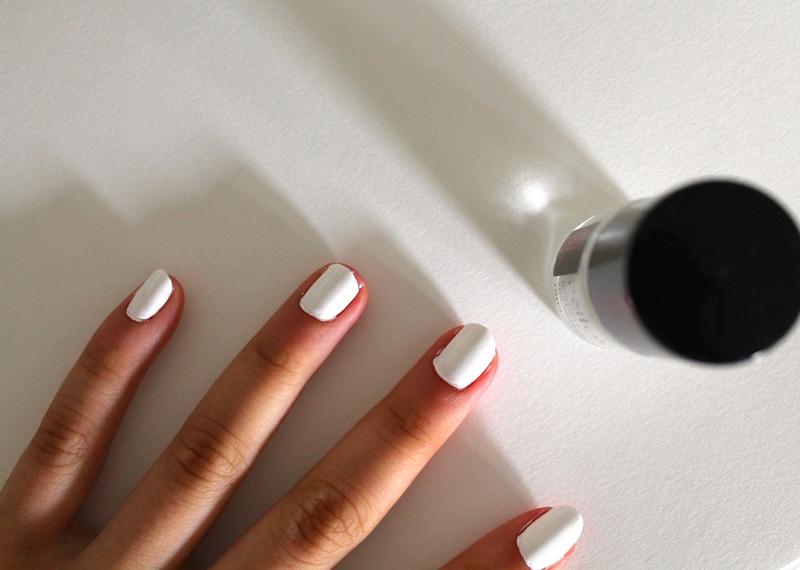 Begin with clean nails, then paint on 2 coats of White Nail Varnish. Let that dry. 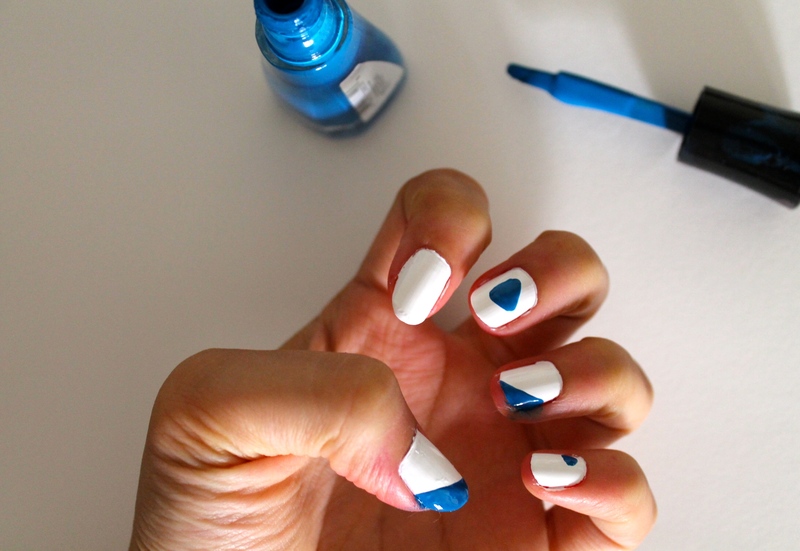 Take your Blue color and paint on some triangle shapes wherever you’d like. They can be tiny, large, they can even bleed off your nail. Get creative, sista! 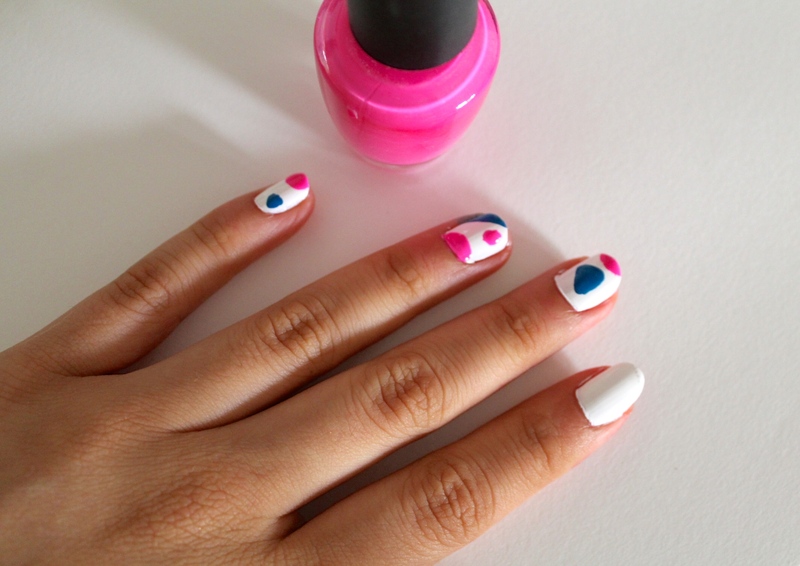 Then take the Pink color and paint on some circles. Get creative with this as well! Once all of the color is dry, you can grab your Nail Art Brush and your grey or black color (your choice). As carefully as you can, outline the shapes. Then you can go ahead and fill in the white spaces with tiny dashes A.K.A sprinkles! 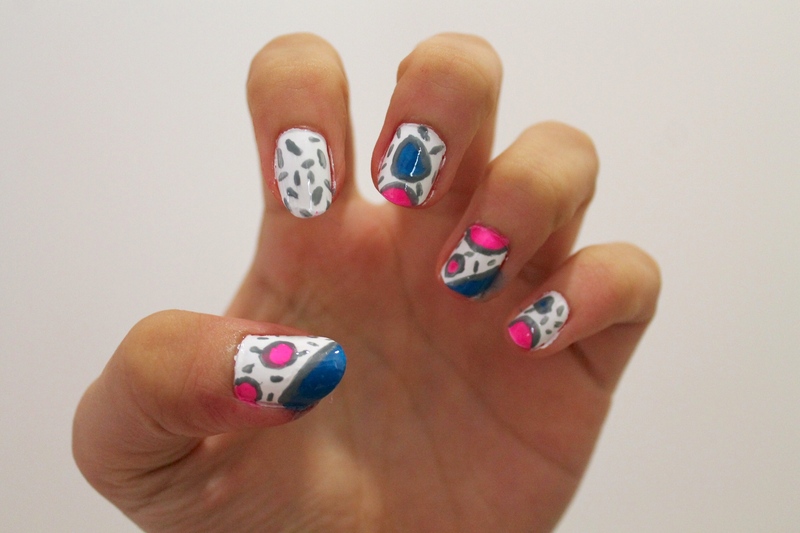 Let everything dry, then you can finish off with a layer of your favorite clear Top Coat. 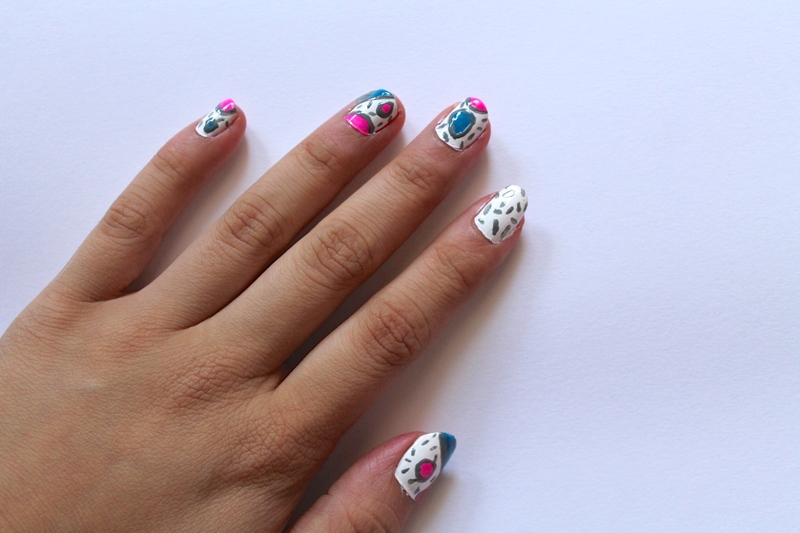 This design is inspired by a recent collection by Gorman Clothing, but your new nails would look bangin’ with a brand new outfit from Gold Soul. Check us out. 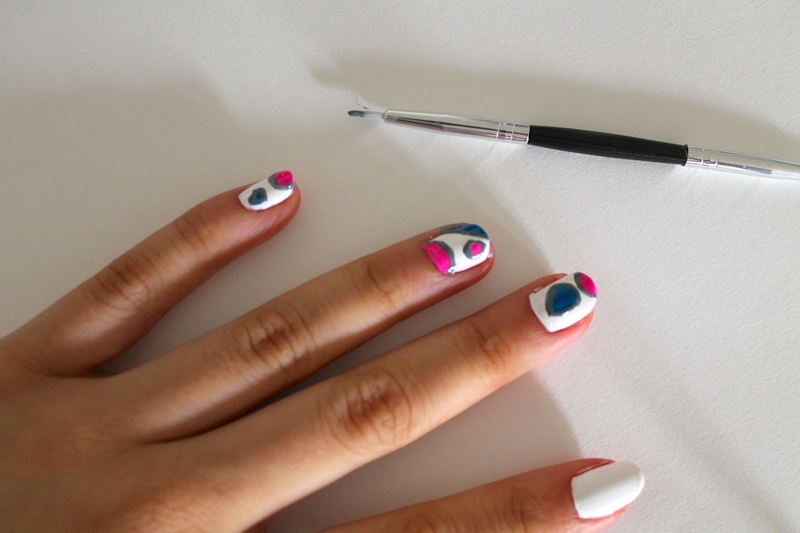 Need more nail art inspo? No worries – check out these tutorials.